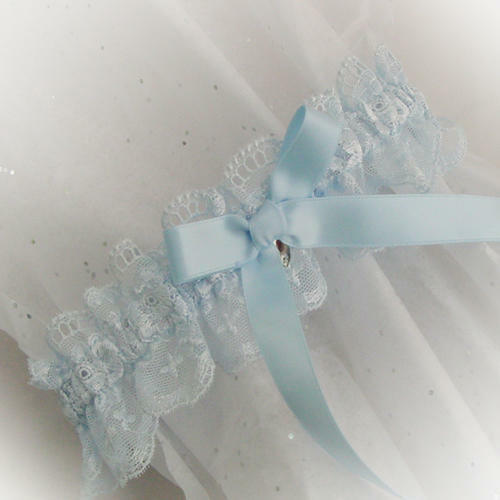 I love designing with new laces and this lovely tulle with it's embroidered roses and undulating lower edge, is no exception! 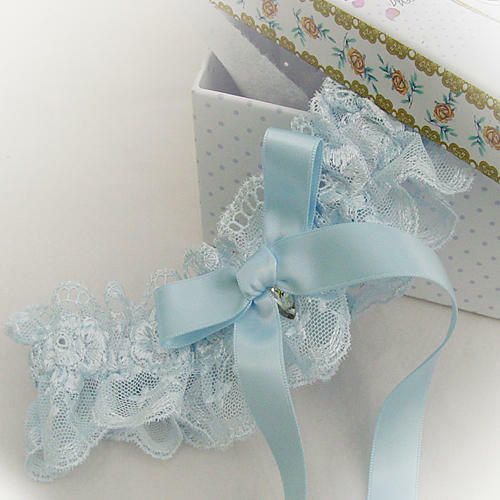 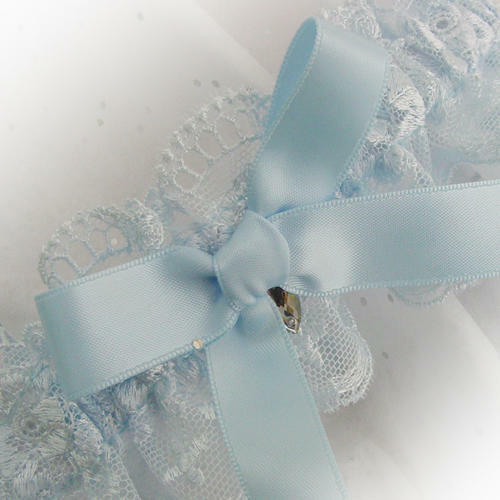 This pretty baby blue garter will make a delightful 'something blue' for a bride...Delicate, narrow, embroidered tulle is embellished with a matching blue hand-tied bow and has a discreet little crystal nestling beneath its knot. 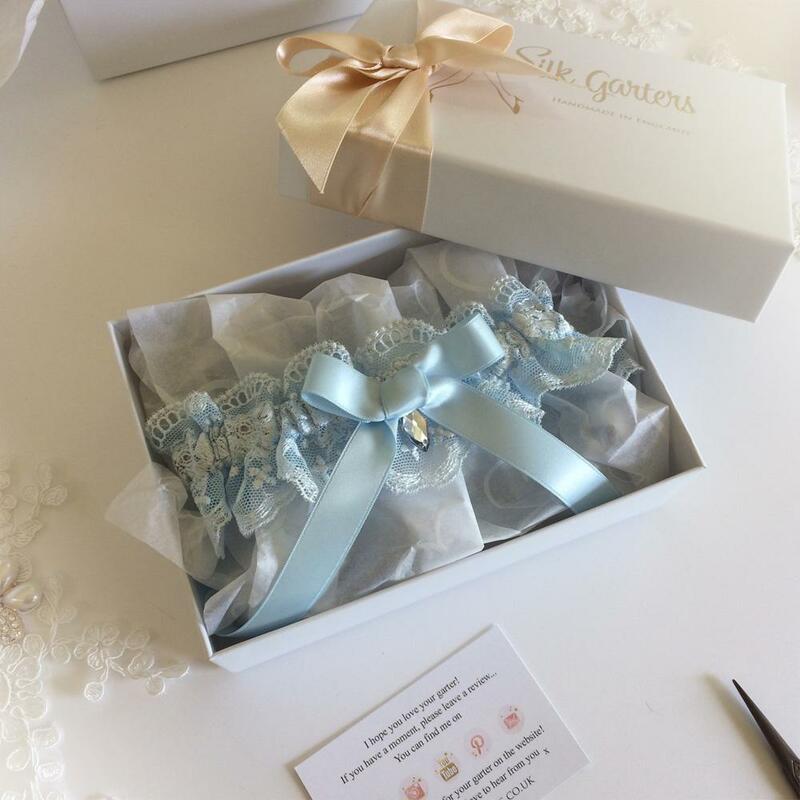 Scroll through the photos to see this beautiful wedding garter spilling out of one of the luxury gift boxes, isn't it a wonderful gift for a bride's something blue!